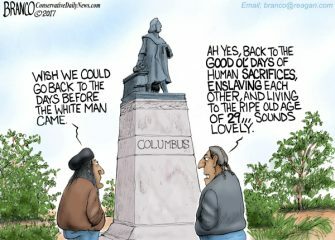 Where would the indigenous people of America be had the Europeans never arrived. 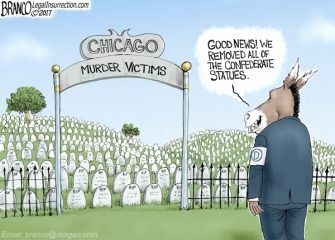 Re they now better off than they..
Democrats seem to care more about taking down confederate statues than slowing down the murder rate in Chicago. 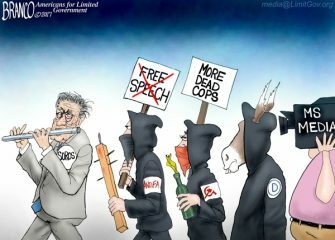 Political Cartoon..
How are leftist militant groups like Antifa so well funded? Follow the money, you just may find George Soros. 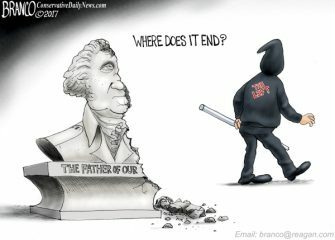 Political..
Today confederate statues – tomorrow Thomas Jefferson and George Washington? Political Cartoon by A.F. 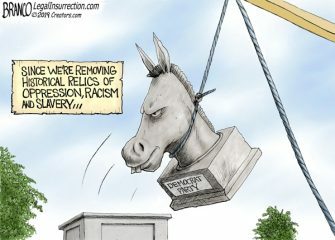 Branco. ©2017. See more Conservative Daily News cartoons here.. 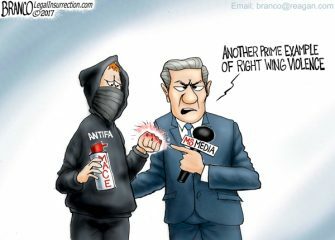 The Mainstream media appear to be all in the tank for the extremist violent alt-left group Antifa. Political Cartoon by..